Ocean Trax was born in the end of 1996 with the releasing of ‘Take me over’, the first House of Glass’s production that was originally produced by Gianni Bini, Paolo Martini and Fulvio Perniola with the collaboration of the great vocal singer Judy Albanese, one of the most popular house vocalist of those times. The single was released even in the UK under Minisrty of Sound with special remixes by Mark Picchiotti.After this Gianni and Paolo decided to continue their adventure in music business releasing the HOG follow up single ‘Do Whatcha Feel’. A few months later, they gave the label a big impulse in the house scene in Italy and Europe with the publication of the single ‘Dancing with you’ by Bini&Martini with the voice of Romina Johnson (already featured on Artful Dodger and Goosebump singles..); the record was released in UK, under Azuli (one of the most respected record labels in the dance scene) , and in the rest of Europe after it’s remix by Full Intention . Ocean Trax and Azuli decided to be in partnership for some years with a record deal that helped Bini&Martini and their record label increase their popularity in England and not only. As a matter of fact in 1999 the first Eclipse single ‘Makes me love’ reached the UK top 20 sales chart and sold more than 70.000 copies only in UK. 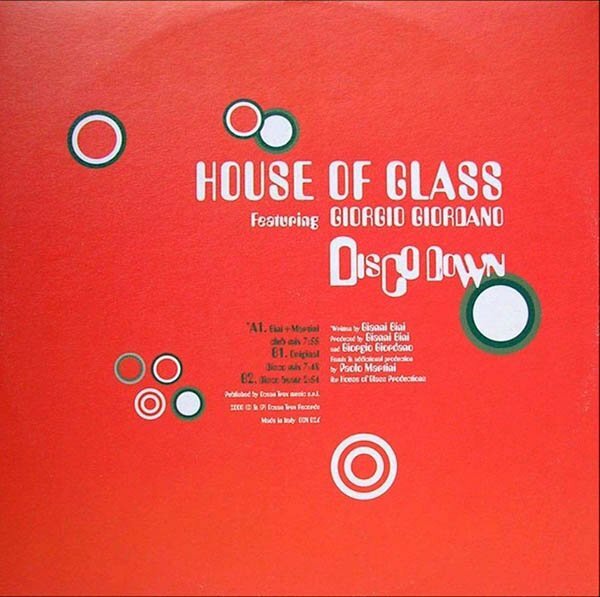 Not only: in 2000 the singles ‘Disco Down’ by HOG feat Giorgio Giordano, ‘Soul Heaven’ by The Goodfellas and Soul Povidrer Rise were licensed in the whole world under the best house labels and reached the top position of the ClubandSales chart everywhere. This brings Bini&Martini to the top level as producers and remixers, and major labels ask them to put their hands on tracks and do remixes for the biggest names in music like Jocelyn Brown, Kilye Minogue, Jamiroquai, Backstreet Boys and Gabrielle , and these are just a few. Their remix of ‘Love Foolosophy’ won the ‘Italian Dance Awards’ for BEST REMIX of the year 2002.